BBPDX is pleased to partner once again with the Go Green Conference. Event speakers include BBPDX members from Scout Books, Green Hammer, Social Venture Partners, New Seasons Market, Brink, FMYI, and Deeper Funner Change. 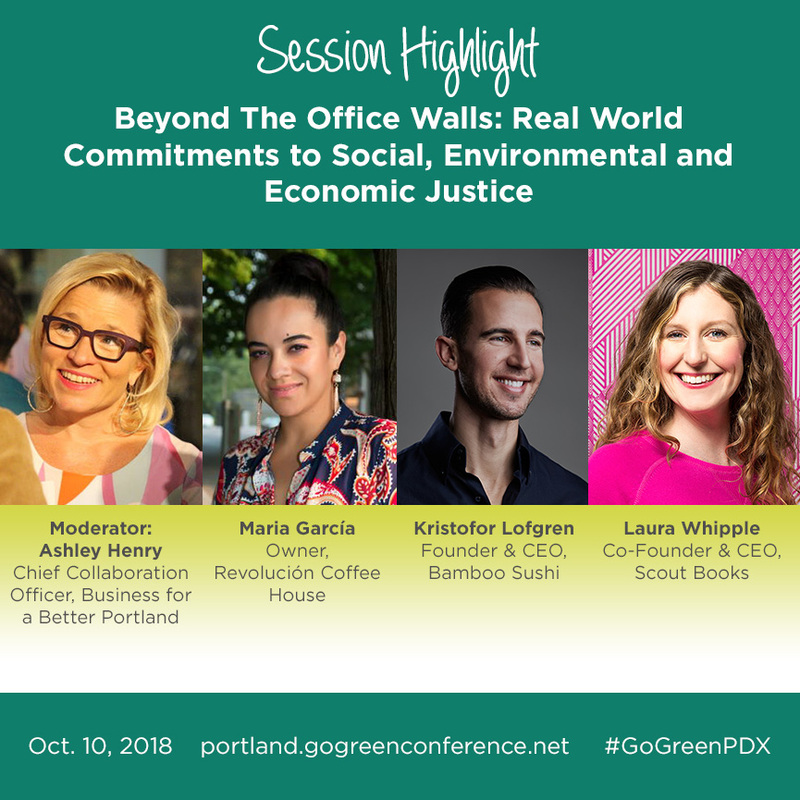 BBPDX CCO will moderate one of the sessions, entitled “Beyond the Office Walls: Real World Commitments to Social, Environmental, and Economic Justice”. EVENT DETAILS: Attendees are invited to come to learn how to "drive sustainable best practices in your organization. Collaborate with regional innovators, entrepreneurs and sustainability champions who will share their stories and reinforce our ultimate goal of increasing sustainability in business to create a healthier company, economy and climate.